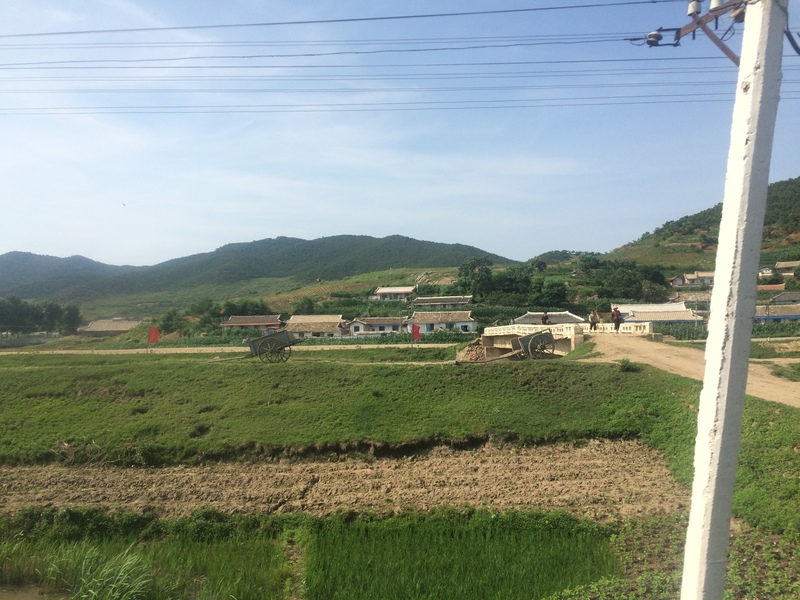 The idea of traveling to North Korea was intimidating at first, and up until the point It was time for our train departure from Beijing, I didn’t believe it would happen. I was traveling with German friend who had arranged with the DPRK embassy in Berlin to pick up our visas near the train station in Beijing the day of our departure. We didn’t know who to look for, or if anyone would actually show up, but eventually someone did, and we got on the train with what looked like a visa and a one way ticket to Pyongyang. The train was a long and slow 24 hour journey, and crossing the border sparked a few more doubts, but after being searched and showing our phones, we were let through and actually made it into North Korea. Surprisingly, there are a lot of tourists that come here, especially Chinese, and my guide said that last year there were over 25,000 tourists, but sometimes she’s a 0 off in her number translations so I believe it may actually be 250,000. Just on our first day, there were over 10 coach buses filled with Chinese tourists to visit the DMZ. 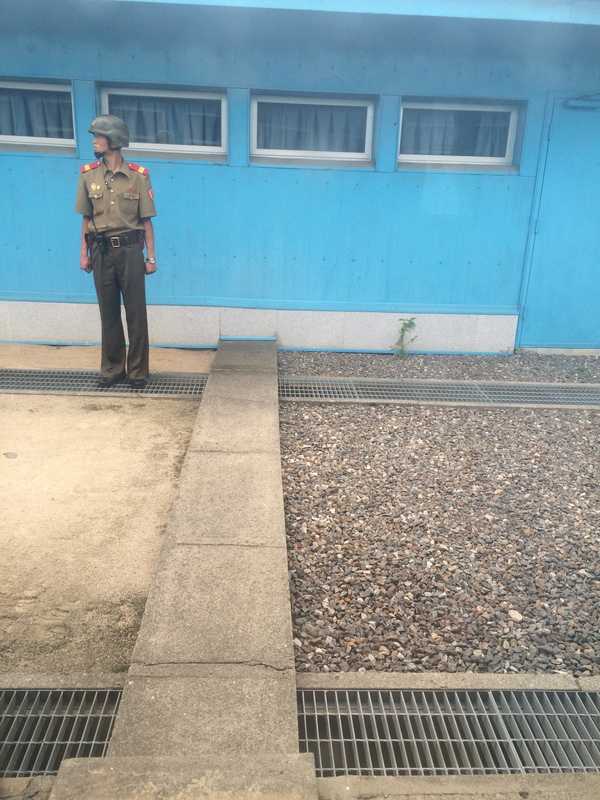 DMZ is the border between North and South Korea – though it stands for ‘de-militarized zone,’ the area was full of military, arms, and apparently mines on the South Korea side. It’s a 4 km wide no-mans land, but in one building on the actual border is a room where you can be on the north or south side, and sit on a desk across from someone on the other side. But only the north side tourists or south side tourists can be in the building at one time, accompanied by their respective soldiers, so it’s not much of a meeting place for the two nations. The country has no internet, only intranet, and one can find out the weather forecast at any time of the day, but no one knows the European Football championships are happening. The ‘International’ hotels have computers for tourists to check their email or make global calls, but I figured I’d wait til I left to write anything. 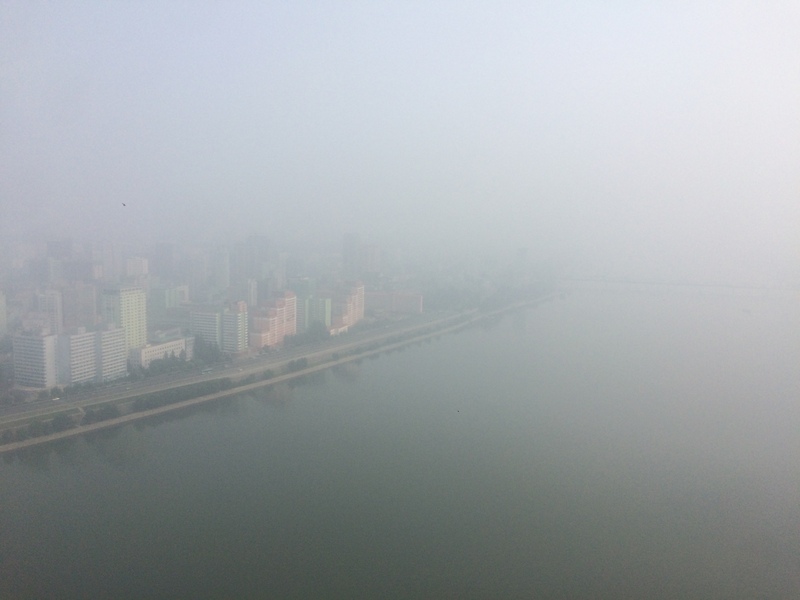 The city Pyongyang is like any other sky-scraping, hazy city in Asia, a big capital city filled with millions of people. Even though the foggy mornings only turned into cloudy afternoons, my guide swears there’s no pollution and no one wears masks, but I still felt like it was easier to breathe in much brighter Beijing. There’s still a big difference from being in Pyongyang than any other big Asian cities. For starters, the city is extremely clean and sterile, with no litter about and I even saw one guy pick up chewed gum off the floor to throw it away in a garbage can. Pyongyang is also completely safe and calm, and mostly quiet except for the strange, militant, motivational instrumental music blasted on public loudspeakers, in restaurants, and the metro. I didn’t hear it, but apparently there is international and western music to be heard on one of their only 2 radio or television stations. The most popular past-times here are karaoke, both western and Korean music, bowling, and ping pong. I saw empty billiards halls and soccer fields, but apparently they’re used a lot too. The roads within and leading out of Pyongyang are all huge boulevards, sometimes large enough for 7 lanes of traffic each way. In the 90’s they built a highway to Seoul, which has never been used to get further than the DMZ because of the North South unstable political relations, but this highway was wide enough to land a Boeing 737 on it but worn and torn from neglect after failing to ever be used to get to Seoul. The only problem was the potholes, the thousands of potholes and bumps in the roads, everywhere. I wondered why the roads where in such bad shape, but the better question was why the roads were so empty – and then it all makes sense. In the DPRK, regular individuals can’t own vehicles, and there’s nearly no such thing as a private car. There are some 70 million people here, but no one drives, except for the lucky few. The roads are only traversed by public buses, tourist vans, military vehicles, taxis and private company cars. Once you leave Pyongyang city, there are only public and tourist buses, and the military or police, but still the same huge boulevards. Some people had motorcycles, and apparently the government provides you with a private car as a reward for winning a gold medal in international events (ie. Olympians). I also figured out that some of the cars, like the Volkswagen Passat more commonly seen, are fake copies made in China. Now I knew the Chinese made imitation clothes and electronics, but cars? Really? The clothes that people wear were never branded – I didn’t see a single shirt with any writing or logo. Every adult citizen always wearing a small red pin over their left breast with a picture of Kim Jong Il or Kim Il Sung (or both), which is so “they can keep their leaders close to their heart.” The dress was pretty formal, collared tops, slacks, pretty flower patterns, army green colours, a lot of freshly pressed white shirts and dressy trousers, and most of the women wore high heels, even for their long walks to work. Most people move by bicycle, and they’ve really become the main road traffic. People in the DPRK were very quiet, peaceful, complacent people. 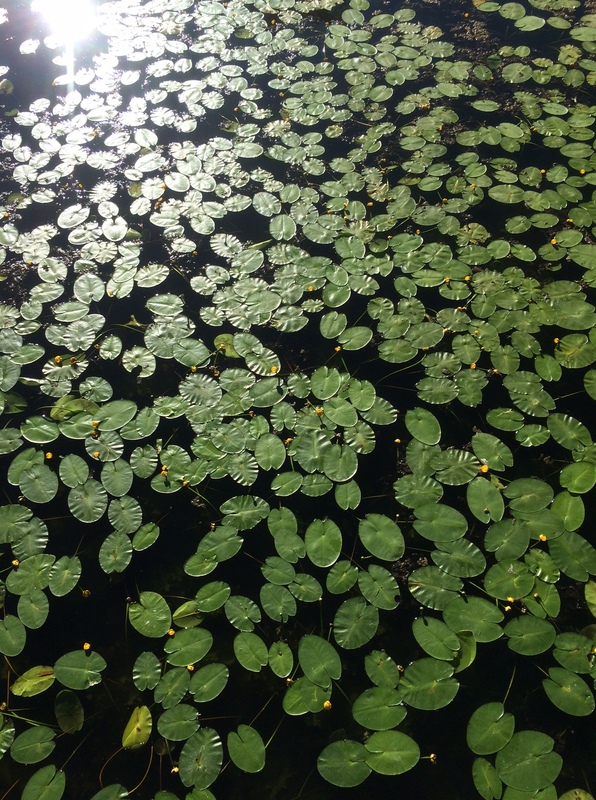 They’re not shy, but they never stare and would never be impolite or break a rule. I sometimes felt sloppy if I wasn’t standing upright enough, but people seemed forgiving of our casual, western behaviour. The religious and cultural life was hard to find. Historically a Buddhist and Confucius country, the socialist motto is to believe in oneself and ignore blind faith, the Juche ideal of self-reliance. 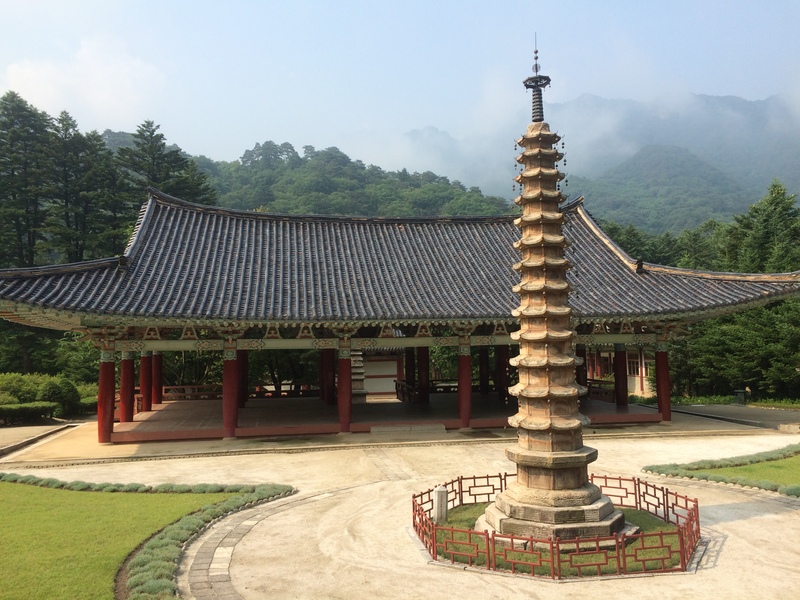 Buddhist temples still exist and are cared for, but not necessarily used for worship. Apparently there is a Christian/Orthodox church which does have a few active members, but again this came from my guide who liked to evade directly answering controversial questions. 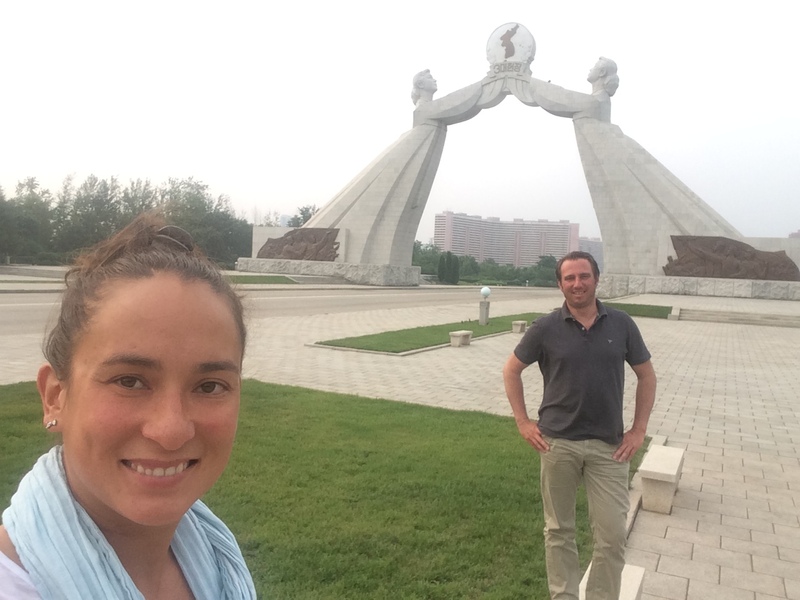 We had very little chance to meet other locals, talk to strangers, or interact with any North Korean people on our 5 day, constantly escorted tour. We were usually ushered into private restaurants for our meals, given a room in a hotel where the only other guests were our guides and Chinese tourists, and they often followed us to the shops and tourist sites so that the only chance to see any Koreans was from inside our moving car getting from A to B. My travel companion Michael had a theory that some locals were placed in our lunch room one day, and at a beautiful cave, just because I expressed my discomfort in always being withheld from spontaneous interactions. It’s easy to get a little paranoid traveling in North Korea – the rumours and stories I knew before didn’t help either. I never felt unsafe or mistrusted, so its hard to know if the feeling is legit or just coming from within. But somehow, there was definitely a ‘Big Brother’ feeling, an element of being stuck in the Truman show and never sure what was real or fake or staged or normal. On paper, our itinerary was the perfect plan – a little bit of the city, a little bit of country, natural wonders, historical and cultural UNESCO sites, and of course the political side. It was like traveling in any other country. But still, that mix of Russian communism and a feeling of traveling back to the Soviet times lingered everywhere. The capital city was quite neutral, all the buildings in the same pastel colours and parks filled simply with trees and water, but any large monument, statue or impressive artwork was always devoted to some communist ideal or one of their late great leaders, Kim Il Sung or Kim Jong Il. The sickle, hammer and paintbrush, the 5 pointed star, the red flame, the Korean flag, or the Juche theory – all were visible from every corner of the city. The only photographs to be seen, in any public space, is the portrait of their late leaders. Not even shop windows have advertisements or pictures beside their name. The buses and metro are devoid of any marketing, except the large murals promoting the great power, greatness or kindness of their leaders, their country, and their people. It’s actually someone’s job to design cartoon posters, depicting the heroic soldier and the struggle of the people to keep their peace and freedom in their socialist system. They propagate very much for a unified Korea, and hate the US military/government for all their interference between the Korea’s. Their greatest achievement was the battle victory over the US in 1953, and I can’t even count the number of monuments and memorials that I saw dedicated to that war. I tried asking about military service, since North Korea is famous for having one of the largest and strongest armies on the ground. I assume its mandatory, but my guide explained that no one has to do it, but everyone of course wants to do it, and therefore all men serve their time for the country through military service… sometimes for their whole life. We met one soldier at the DMZ who did engage with us, since he was very interested in the history of West/East Germany and spoke with Michael during our entire border visit. He let us take a photograph with him, even though I was told never to take a picture around military or working people. I guess there’s always an exception to every rule. In Iceland, I work as a tour guide for horse back riding trips, but after 6 years of that I thought it’d be fun to take a tour as a guest. 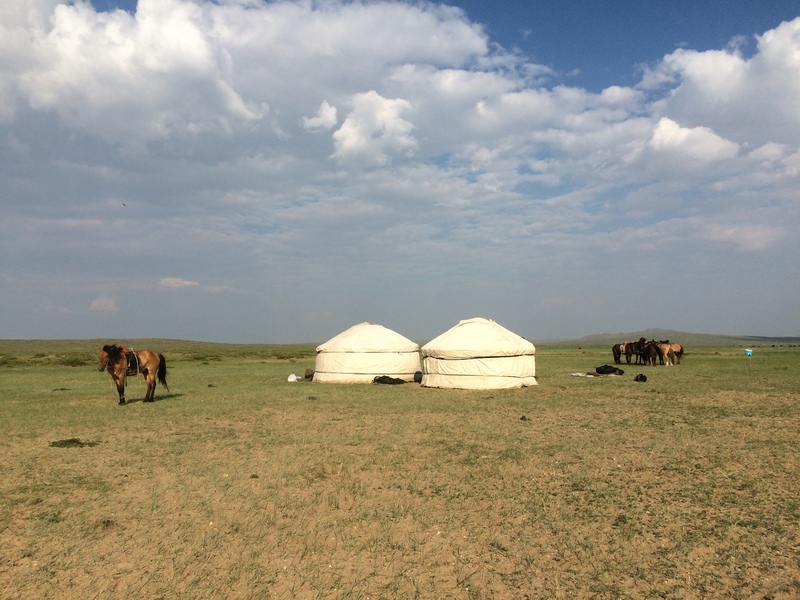 Mongolia is probably the only other country with as much, if not more, horse culture as Iceland, so it was easy to find the perfect vacation there. I thought everyone would want to go, but only one horse friend from Germany actually made it and our group only had 2 other people. 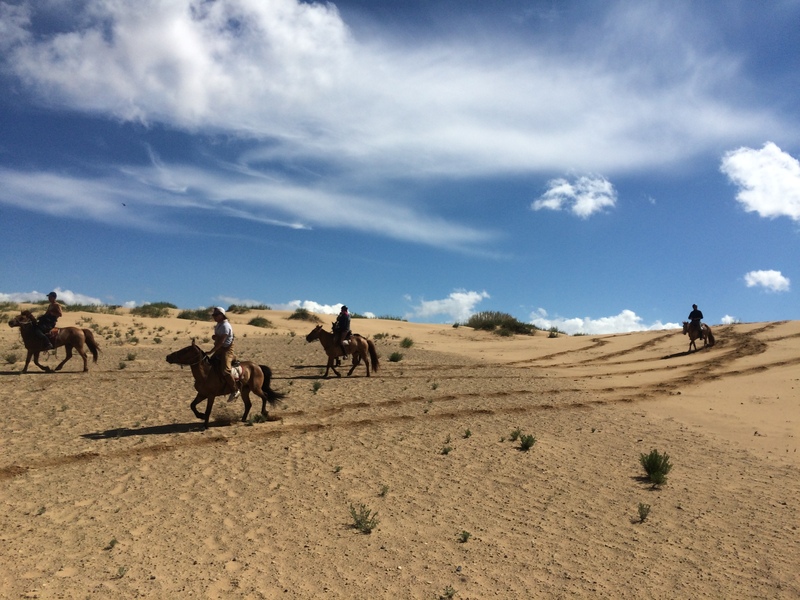 We chose a 9 day riding tour in the Gobi Steppe, but wanted to spend a few extra days in Mongolia before heading to China and North Korea. We spent our extra time in the capital city, which is a strange mix of hold-school communist architecture, new-world/mid-west high-rises, the Cyrillic alphabet, and Asian food and culture (mostly Chinese and Korean). The food and drinks very really delicious, but we were mostly offered ‘western’ foods, and lots of it. Even though we were camping, in the middle of a desert, with no electricity or running water, we were served 4 course meals every night. Soup, salad, some meat, and dessert were the norm, plus boiled well water to drink tea and coffee, and once in a while the cook surprised us with special snacks like Pringles or a home made cake (I still cant figure out how she baked a cake by burning cow dung). 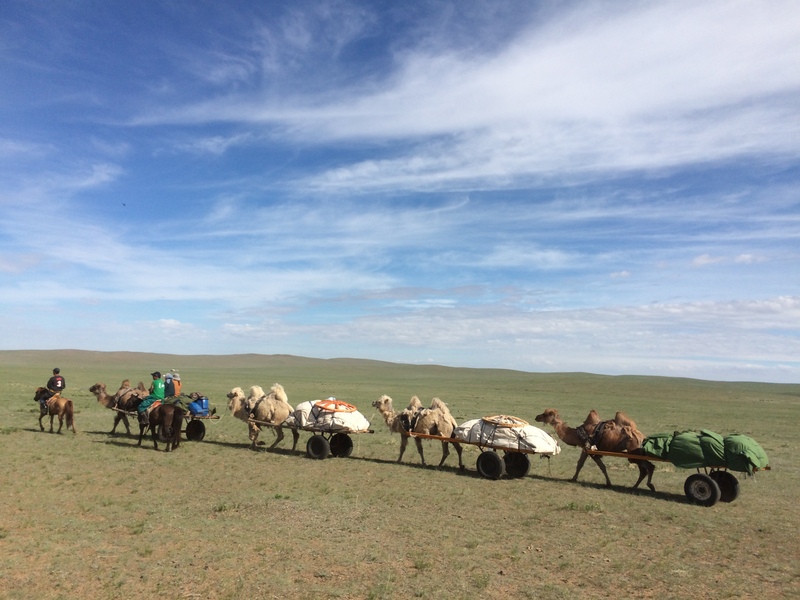 We were only 4 guests, but had one English speaking guide and 5 other staff – a chef, her assistant/waitress, the horse man, and 2 camel boys, who were responsible for the 4 caramel convoy carrying our stuff between camp every day. We moved every morning except the last night, where we stayed in a more permanent ger camp. Each day we rode 30-40 km, only on one horse, and we rode the same horse for 9 days straight. 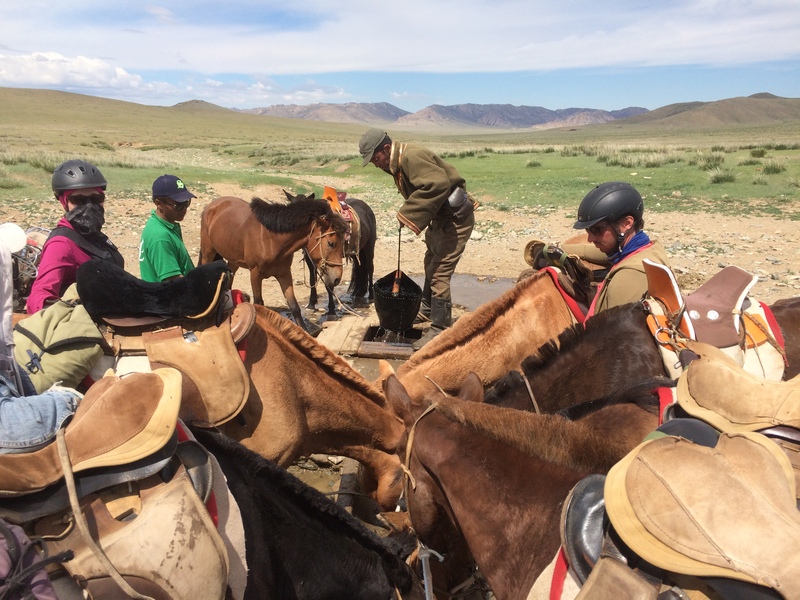 I tried to horse man’s horse briefly, just to sit in his Mongolian wooden saddle, but my friend Michael got to ride his horse a whole day because he wanted to try a faster horse. It made him very happy, until he raced the horseman (who rode Michaels regular horse) and lost. It urned out I had the fastest horse, which was great until how hard it was to stop after reaching flat-out speed. Sometimes it took many kilometres to slow him down, but I didn’t mind. After the horse tour in Ulanbataar, we had a few more great meals, lots of vodka, and visited the city park to watch a music/dance/culture show and ride a Ferris wheel. Nearby was also Hustai National park, where it was possible to see the ancient Przewalskis horse in the wild. During the car journeys between places, we often drove on unmarked dirt tracks which were considered main travel routes by the locals. Mongolia was the only country I’ve seen regularly use hybrid Toyota Priuses as off-road vehicles, and it makes sense why horses are still used so much to move – its almost faster to go 15 km on a horse than a car, especially considering the fact that Mongolian horses can gallop for over an hour without stopping or slowing down. They were truly amazing, and I would have done it if my body could have kept up, but my legs couldnt handle it after they started bruising in a few different places from a strange saddle that you need to stand in. 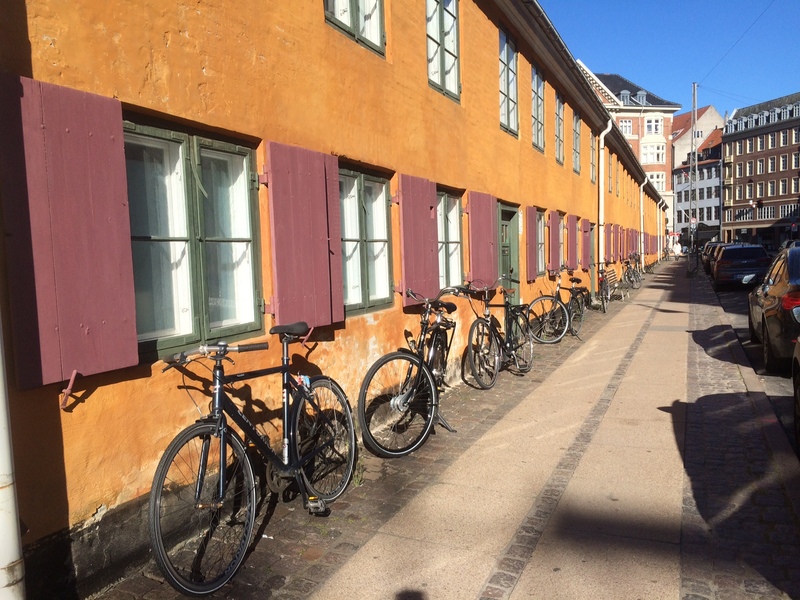 I´ve been to Copenhagen twice before, but trying to manage a days’ layover isnt easy. But, with a landing time of 12 noon and a departure time of 22:00, noone wants to sit around at an airport that long, no matter how nice, so here’s what I did and you should do too. 1.) Leave the airport: There’s a train every 20 minutes from Copenhagen airport to Copenhagen central station, and it only takes a little over 15 minutes to travel. Once you’ve arrived in the central station, you’re in the heart of Copenhagen and within walking distance to all the main sights, shopping streets and drinking/eating spots. 2.) Go to Tivoli: If its summer, and you’re a Disneyland/theme-park kind of person, spend the day at this fun park. There are roller coasters, green parks, yummy concessions and all sorts of other fun stuff, and entrance is only 110DK (around €15). 3.) Walk around the pedestrian shopping streets. 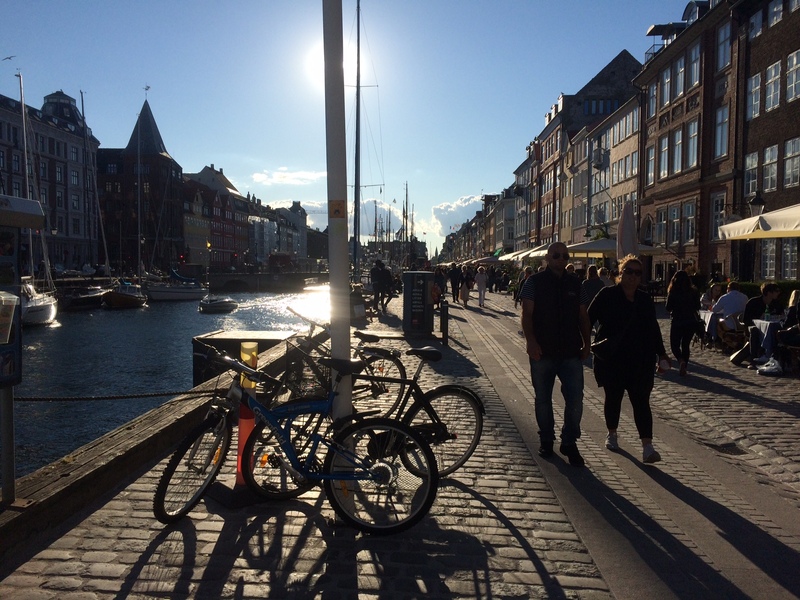 Even if youre just a window shopper, or only looking for the cafes or bars to visit on the way, its a lively street of people watching and lovely surprises, and delicious Danish street hot dog stands. 4.) Visit the parks: especially around any castle or sea-side. 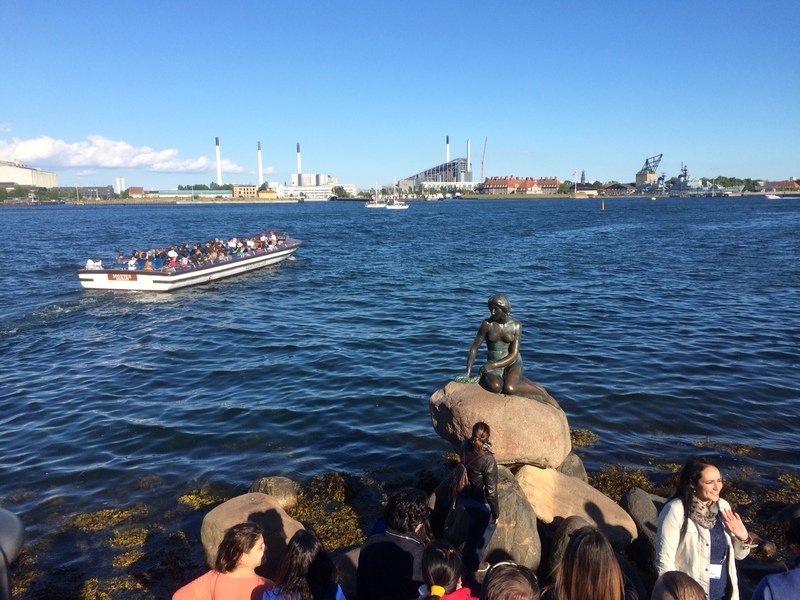 You’ll find the (in)famous little mermaid statue, and one beautiful star-shaped fortress.